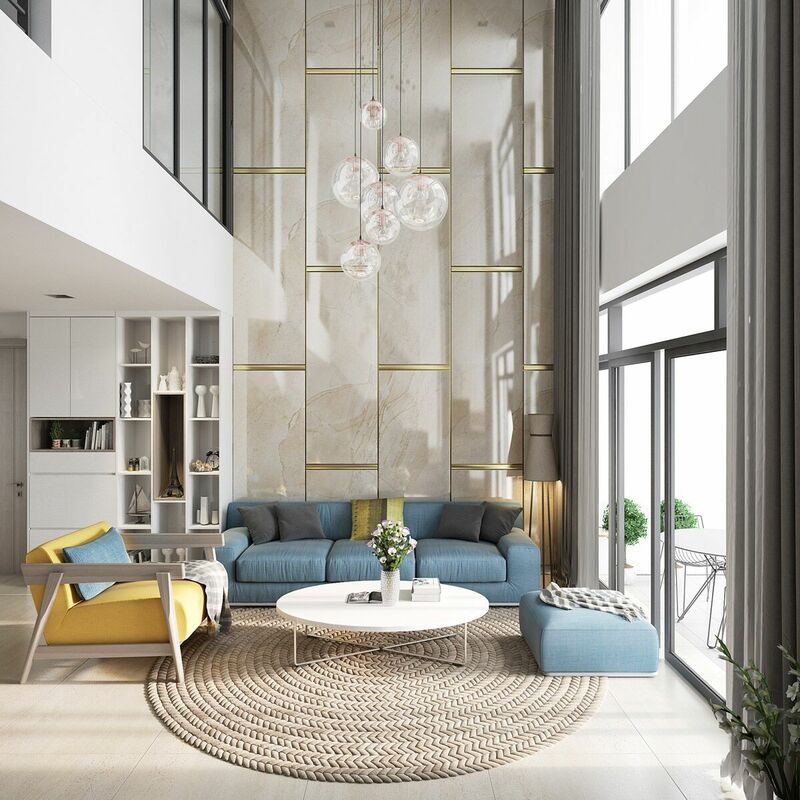 We're excited to give you a sneak peek at the top anticipated 2018 Interior Design Trends, as seen at KBIS and TISE, the premier interior design events in the country. This year will take new shape with some older aesthetics making a reappearance; mixing old with new, and bold with soft. We will also see bolder color accents and statement pieces. Richer, warmer tones and earthy shades will edge out cooler neutrals for a more sumptuous look. The Kitchen & Bath Industry Show (KBIS) is North America’s premier annual event dedicated to the kitchen and bath industry. KBIS is the voice of the kitchen and bath industry and has been for 50 years. KBIS is an inspiring, interactive platform that showcases the latest product innovations and trends from leading kitchen and bath brands. The International Surface Event (TISE), comprised of three world-class tradeshows: SURFACES, StonExpo/Marmomac, and TileExpo events, is the leading industry marketplace for floorcovering, stone, and tile industry professionals to show off their newest products and inspiring trends. 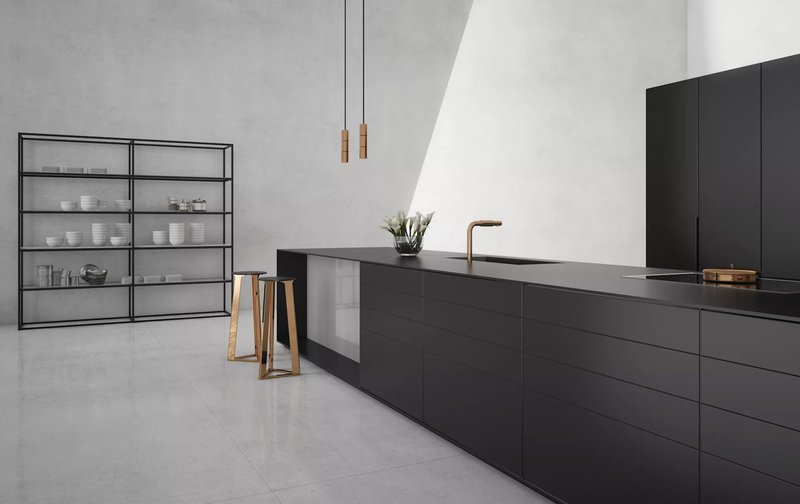 This year you'll see matte black in kitchens and bathrooms. Homeowners want that statement room that is everyday comfortable but isn’t overly flashy and doesn’t fully take over the room. It’s a powerful look that’s contemporary and complements a variety of materials and styles. We are seeing matte black fixtures for kitchen and bathroom. Also, black accents in lighting and finally also matte black tiles on floors and shower walls to make that clean statement. Mix old with new, add texture and sheen. Whether it's mixing metallic elements with other shiny materials or textures, think shiny with matte, mixed with textured stone or glass. Add shiny brass to matte black fixtures. 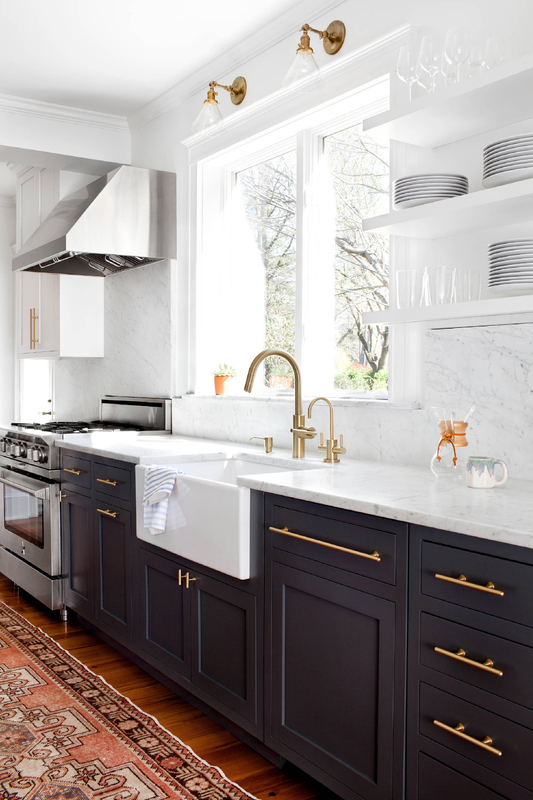 Consider a honed stone or quartz countertop with a shiny metal backsplash. It’s important to focus on choosing the right countertop material for your needs, but don’t stop there. There are so many options out there to fit the specific function and needs in your kitchen. Cut grooves in a butcher block type counter or quartz counter can create drainage for wet dishes and other scenarios. For sleek looks, install a flush mount cooktop with hidden controls and exhaust systems that can pop up at the push of a button. 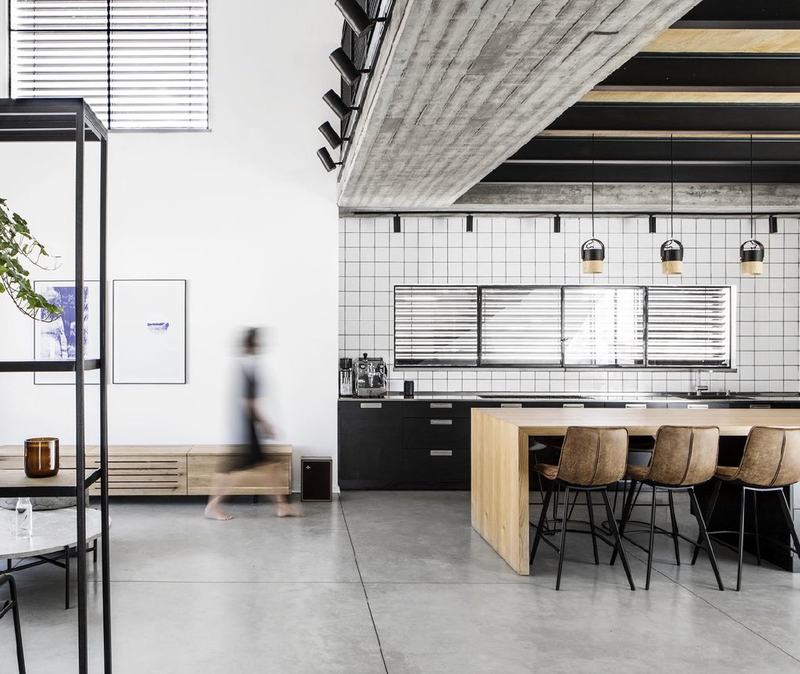 The industrial look is here to stay and concrete accents help create that look. 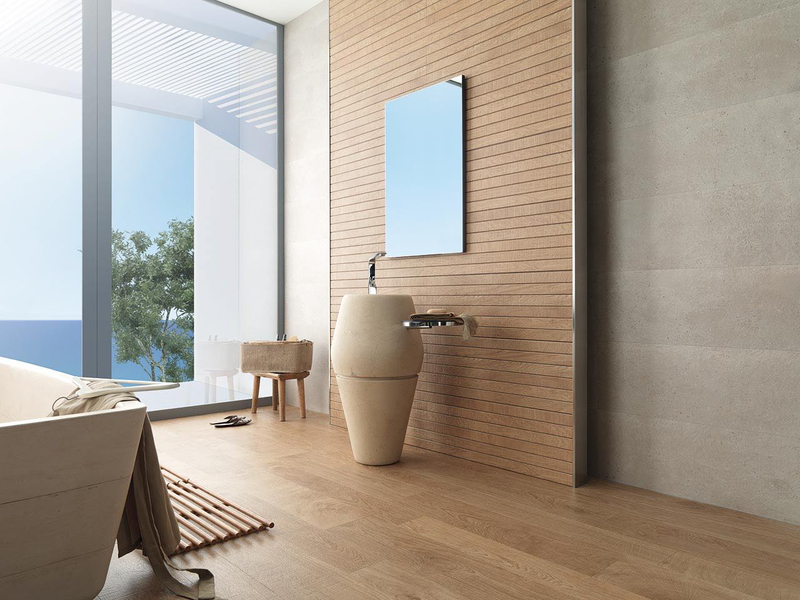 There is a continued rise in the way concrete is being used in tiles, as seen in concrete-look porcelain, patterned concrete tiles, as well as 3-dimensional concrete decos. It's also being used more and more in home accessories and furniture. 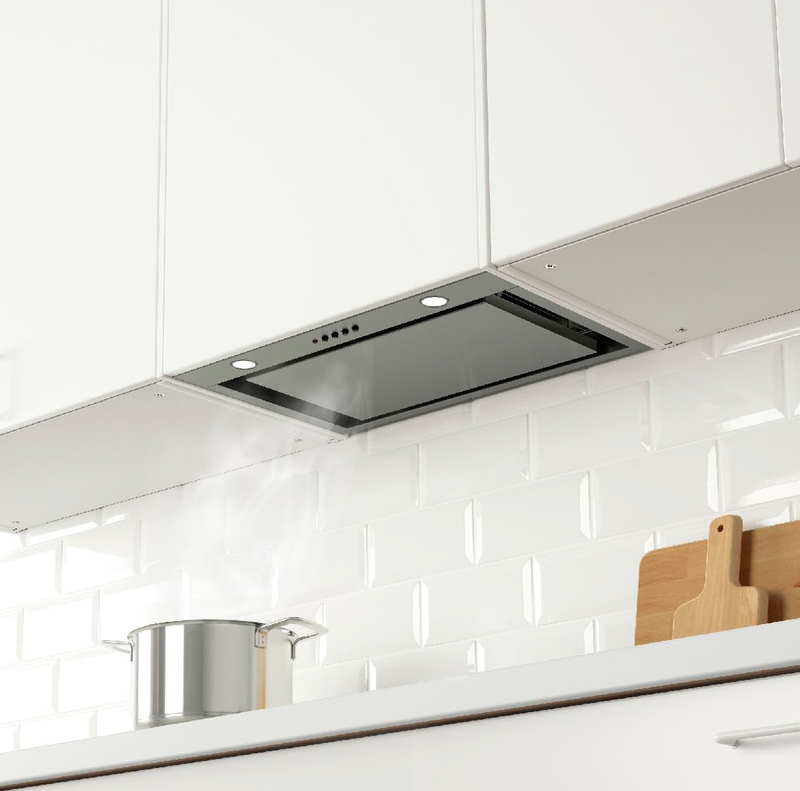 A statement range hood can make an ideal focal point in a kitchen. But in more compact spaces, the last thing you may want is another bulky appliance. Instead, consider hiding a hood behind some elegant cabinetry, as was done in this Australian kitchen. Coupled with under-cabinet outlets, the hidden appliance allows the small amount of backsplash to appear large, streamlined and elegant. Solid surface counters in engineered materials are on the rise to show off that nice island and beautiful counter. We are also seeing dedicated chopping and baking stations. Serious cooks are adding in lower countertops to ease in chopping and preparing baked goods. 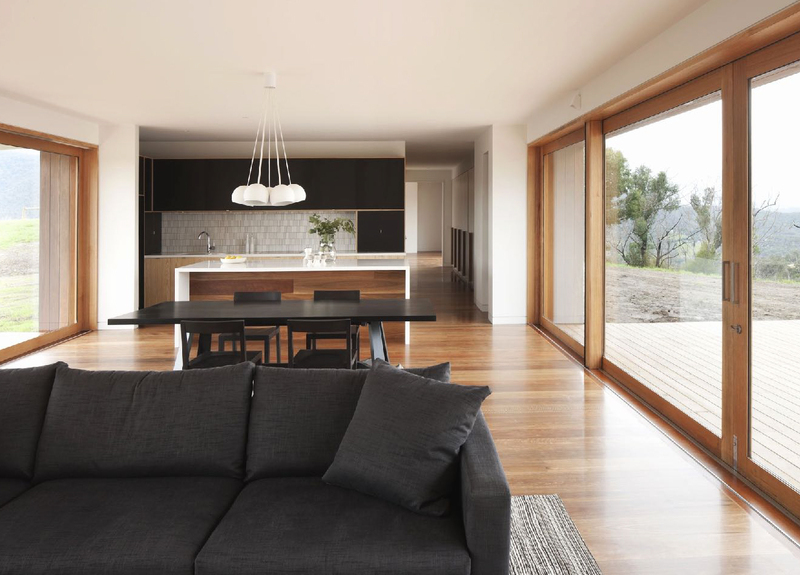 An open layout kitchen is inviting as it creates togetherness and signals a more modern, less traditional lifestyle. The open floor plan is also a draw for those who love to entertain, as the kitchen is the heart of home. Millwork feature walls and detailing are up. 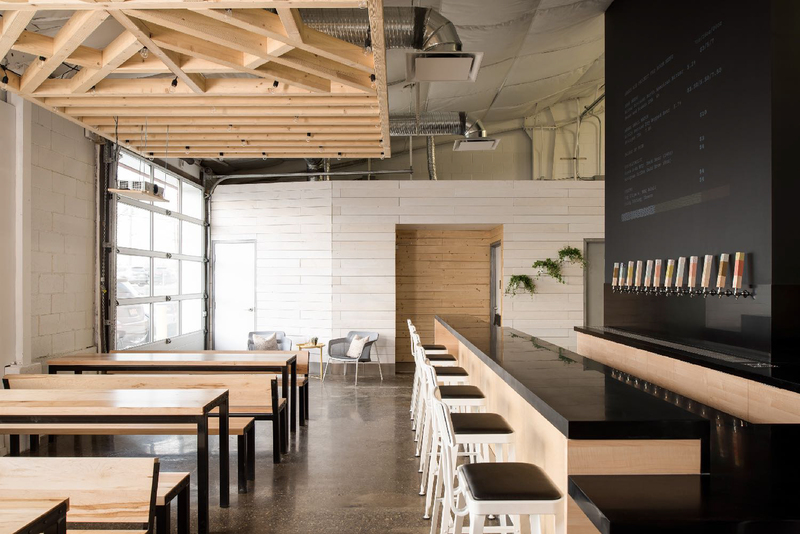 Shiplap, millwork panels and reclaimed wood boards have been around for a while now. Expect to see this trend to continue for some time, especially as bedroom feature walls. The materials are easily accessible from home improvement stores and allow the average DIY homeowner to grab these materials and put them up with relative ease. 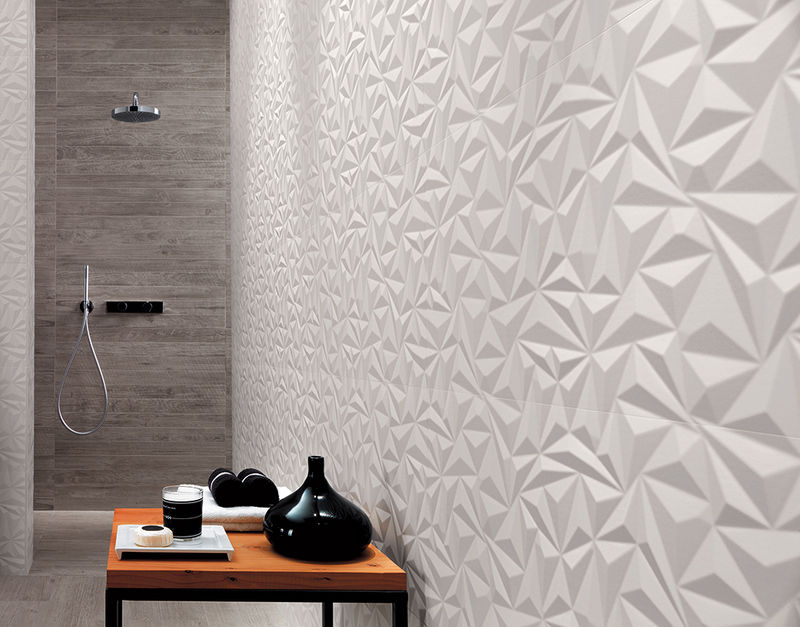 The appearance of 3-dimensional tiles has changed the face of tiled surfaces, with embossed or molded patterns that make walls pop. They add drama to a space and naturally attract attention. To add to their impact, consider placing lighting at the top of the wall to help define all the angles and shadows of the tile's dimensions. There is a huge focus on lighting right now, especially statement pendant pieces. Vintage looking pieces are hot and used as a focal point in the room. These are even being considered as the central art piece of the space. 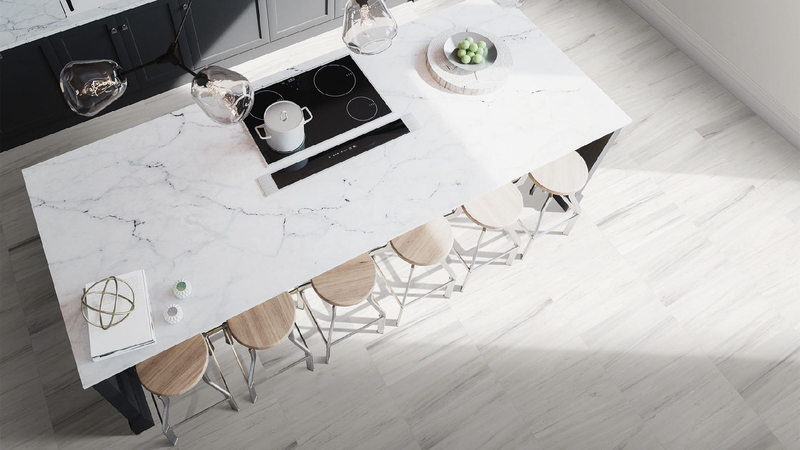 White will always be a classic palette for kitchens, but people want to add a little oomph to the white and put their personality into the space. 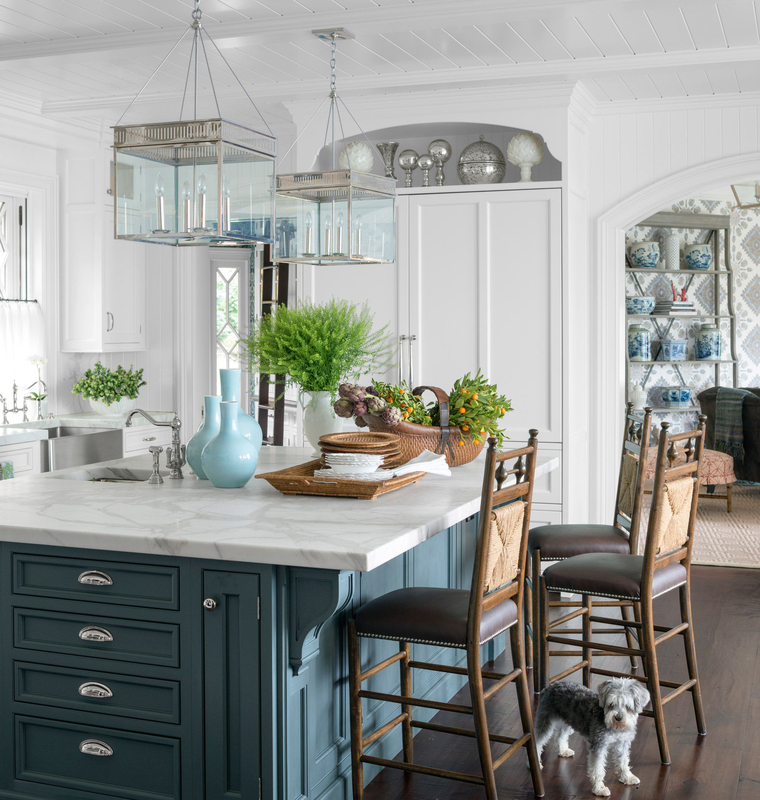 White kitchens are not going away by any means, but expect a rise in bold color accents in kitchens, richer and warmer cabinet colors, rugs, accent and patterned tiles on walls and backsplashes. 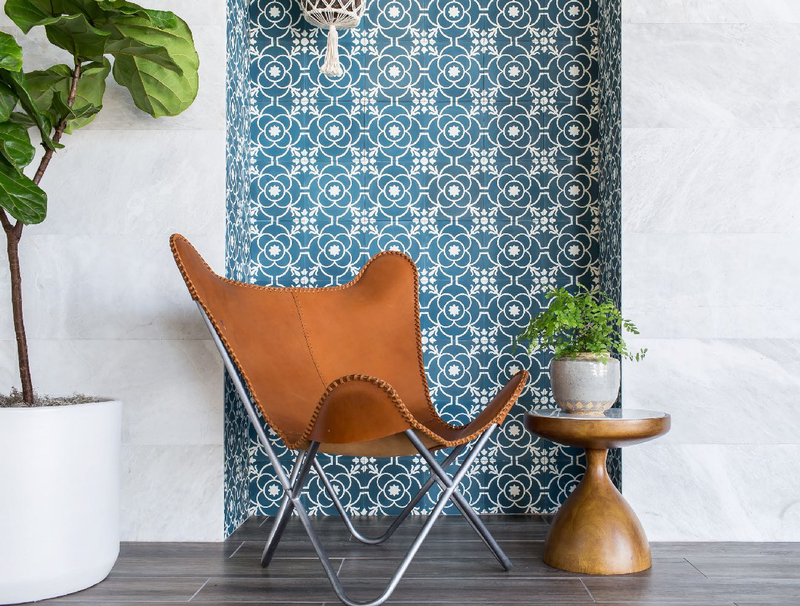 This look is prized to show off the elaborate pattern look of modern-day wallpapers while being durable enough to wipe down with mild soap and water. Pattern packs a heavy punch when it comes to design, so you might opt to cover an accent wall, rather than an entire room. When choosing patterned tile, select a style and color scheme you’ve enjoyed for many years, rather than something you recently discovered. You’ll have it on your walls for decades to come, so you want to be sure it’s going to be loved for just as long. 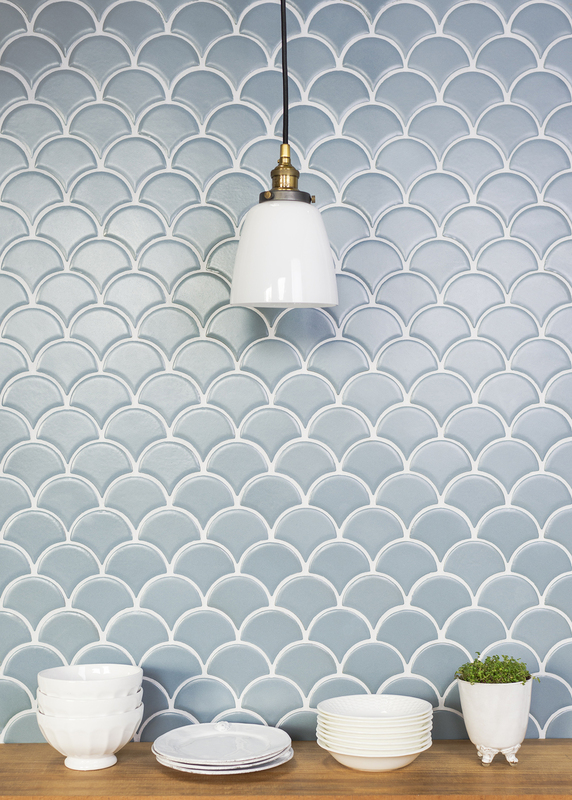 Fish scale tiles are an interesting pattern that bring visual interest to your space in a fun way. 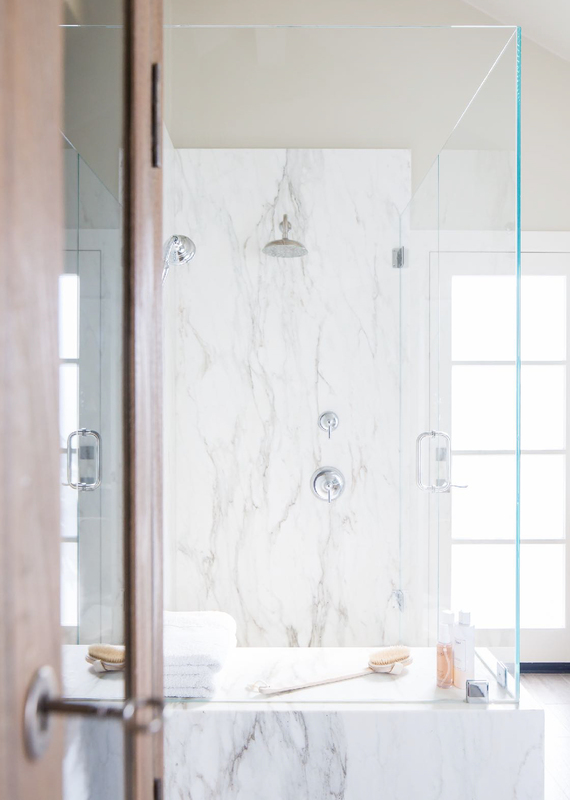 Its eye-catching look is a departure from the traditional subway tile and will update your look. It works well in the kitchen, as well as the bathroom. Try it on the wall or the floor. For more design inspiration, visit our Design Gallery.